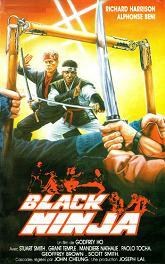 After the horrible murder of his wife and his brutal beating, an agent (Alphonse Beni) is on a mission to bust an international crack ring with the help of his ninja crew. Also with Richard Harrison. Directed by Godfrey Ho.